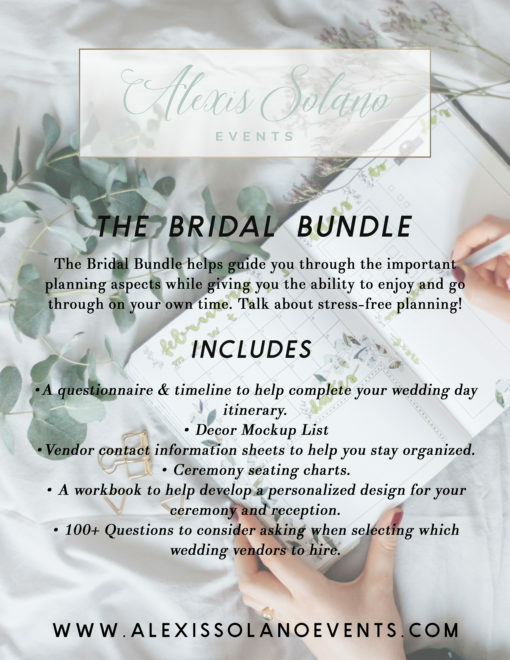 The Bride Guide is printable download for brides who love planning on their own! If you’re ever unsure this guide gives you all the steps you will need in planning the perfect wedding! A workbook to help develop a personalized design for your ceremony and reception. 100+ Questions to consider asking when selecting which wedding vendors to hire.